For anyone on the hunt for knowledge, London is full of wonderful museums that will keep any visitor busy for many lifetimes. The British Museum alone has a hoard of treasures which include some 1.5 million objects, spanning two million years of history. But for those whose interests lie with things that are a bit more eccentric, the city also has a number of museums which would appeal to anyone looking to see what quirky London has to offer. These interesting and unusual museums let visitors discover lesser-known artefacts and explore the history of the more unusual aspects of London. For anyone with a medical background, or just plain curious, the Anaesthesia Museum promises a knock-out experience. This medical museum has a collection comprising over 2,000 objects relating to the story of anaesthesia from 1774 to present times. The museum provides a detailed insight into the history of medicine relating to anaesthesia and anaesthetic equipment as well as pain relief and resuscitation. Opening Times: Open to the public during office hours. Learn all about the work of Isambard Kingdom Brunel and his father Sir Marc Isambard Brunel, famous for their pioneering work in the construction of the Thames Tunnel. Watercolours, peepshows, engravings, statues and models explain this epic feat of engineering. 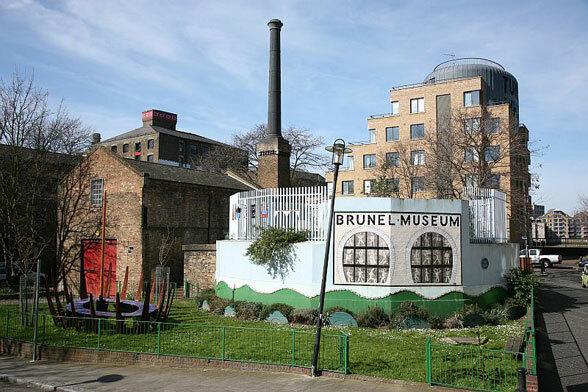 The Brunel Museum is in Rotherhithe, a popular destination for visitors, attracted by its long association with London’s maritime past. The Mayflower set sail from here in 1620. Rotherhithe was once a centre for piracy and body snatching. Cartoon Museum Anyone who grew up on comics like The Beano, The Dandy and Topper will most surely enjoy Cartoon Museum in Bloomsbury. This small museum opened in 2006 and is dedicated to preserving British cartoons, comics and animation from early Punch to current favourites like Giles and Steve Bell. This is a good place to bring the kids to as the museums offers fun and interactive activities for children. Fan Museum This is one of London’s most unique museums and one of my favourites. It is a must-see for anyone who likes fans. The Fan Museum is home to the world’s finest collection of fans, dating from the 11th century to the present day. Housed in a pair of restored 18th-century houses, this surprising museum also features a Japanese garden and spectacular orangery with a gorgeous mural and fascinating gift shop. Kirkaldy Testing Museum The Kirkaldy Testing Museum houses David Kirkaldy’s 350-ton “All Purpose Testing Machine”. It was once used to test the strength of everything from bricks and concrete. This is one of London’s stranger museums and a must visit for anyone with a love of machines and engineering. It is open on the first Sunday of each month and entry is free. Magic Circle Museum Ever wondered how the rabbit in the hat trick works? But there’s more than a rabbit in a hat and never-ending coloured handkerchiefs at the Magic Circle Museum at the Centre for the Magic Arts. See some of the magic world’s most important memorabilia including the handcuffs used by Harry Houdini and props used by HRH Prince of Wales during his induction into the mysterious Magic Circle. By appointment only. This is a real one-off for anyone interested in medical history. This is not everyone’s cuppa tea but for those with a strong stomach, you can watch demonstrations of surgical techniques and volunteer to be “operated on”. The smells emanating from the herb garret (originally used to store and cure medicinal herbs) just add to the atmosphere. The Old Operating Theatre is the only remaining 19th-century operating theatre in England, which sits at the top of an old church. Opening Times: Every day: 10.30 – 17.00. Closed between Christmas and New Year. Ripley’s Believe It or Not Believe It Or Not, Ripley’s museum in the heart of London’s West End has exhibits such as a four-metre-wide model of Tower Bridge made of matchsticks; a Mini covered in diamonds; a two-headed calf; and an upside-down tea party. Fun for all the family! Opening Times: Open 365 days a year from 10:00 – midnight – Believe it or not. Last entry at 22:30. This list is ace! I’m almost beginning to wish I lived in London. I love mad museums. I’ll be making sure I check a couple of these out next time I’m down there. Good blog, cheers.